COLLEGE PARK, Md. 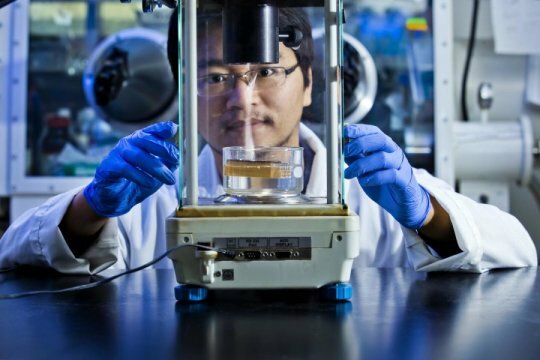 - A team of researchers at the University of Maryland has found that porous types of wood from trees like poplar and pine can greatly increase the efficiency of water-to-steam conversion under sunlight. The findings, published November 15 in the journal Joule, could be used in a simple and inexpensive biodegradable device for water purification. "I think there are many, many materials that can be used in solar steam generation, but wood really stands out in terms of performance as well as cost," says senior author Liangbing Hu, Associate Professor of Materials Science and Engineering in the A. James Clark School of Engineering and the University of Maryland Energy Innovation Institute. 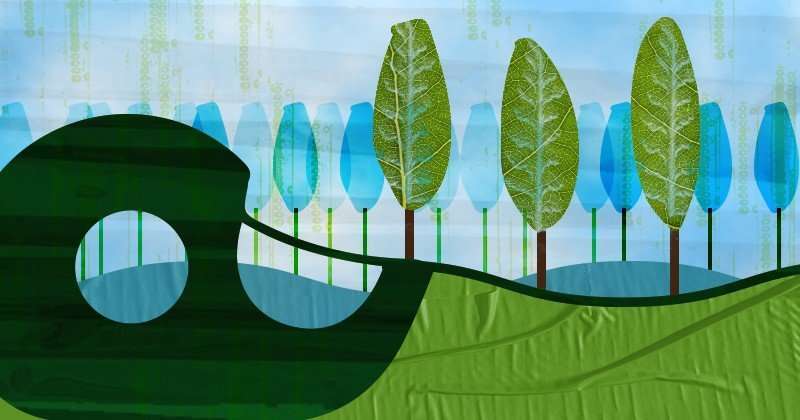 Earlier this year, the same team of researchers, inspired by the process by which water is carried through trees from roots to small pores on the underside of leaves, created devices enabling water to be transported through wood, purifying it for safe use. All the team used was energy from the sun and a block of wood smaller than a human hand. To darken the wood so it could better absorb heat from the sun, they carbonized (burned) the top of each block, and then they measured the rate at which water traveling through the wood was converted into steam. They found that elements of the wood's structure helped facilitate the process efficiently, with microscopic pores and larger channels allowing water to flow quickly and continuously to the sun-heated surface. Easily accessible, the engineers say the devices are efficient, environmentally friendly, biodegradable, and extremely low-cost.